ShowBox is a free movie and TV streaming app for Android. MovieBox is its iOS sibling, and is particularly popular thanks to the rarity of such apps on Apple’s walled-garden platform. The fact that MovieBox can be installed on both jailbroken devices (using Cydia) and non-jailbroken devices (using a special configuration file for the Safari browser) has only made it more popular with iOS users. Unfortunately, both ShowBox and MovieBox have stopped working. 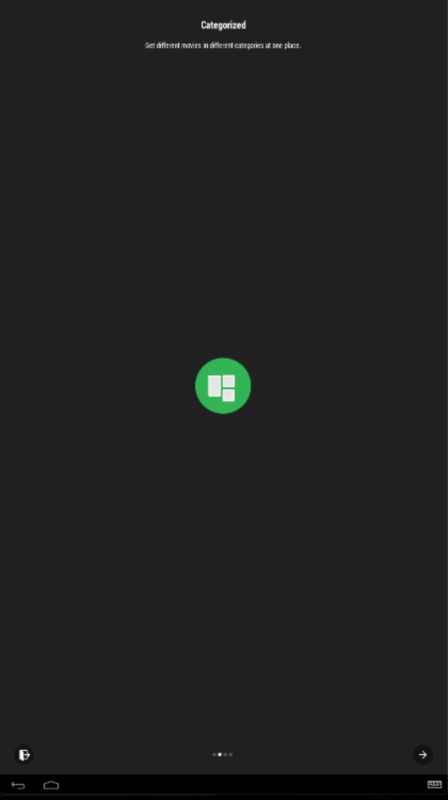 Neither app can connect to its servers. Little in the way of official information is available, although DTAthemes had a “very short conversation,” in which the developers confirmed that the project was over. This development follows lawsuit actions filed by a coalition of movie studios against a number websites that hosted the ShowBox and MovieBox files. As part of this operation, Cloudflare and Godaddy were ordered to hand over the registration details for multiple sites, including Showboxbuzz.com, Showbox.software, Rawapk.com, Popcorn-time.to, Popcorntime.sh, YTS.ag, YTS.gg, and Showboxappdownload.com. It seems clear that the ShowBox/MovieBox developers have simply decided it is time to throw in the towel. 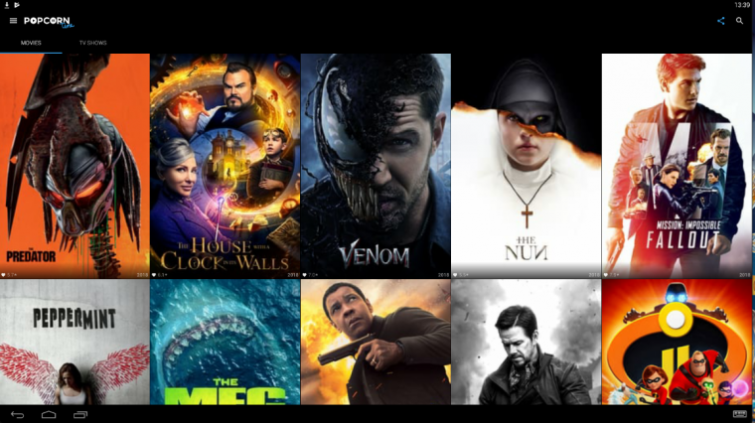 Popcorn Time is an open source app that uses BitTorrent P2P technology to stream high quality video content to your desktop or mobile device. This content is sourced from movie and TV torrent sites. Its slick user interface and an ability to deliver smooth 720p or 1080p video streaming without buffering issues on even fairly slow internet connections has gained the app a huge following. Other than pushing you to buy a VPN, Popcorn Time is ad-free and allows you to cast to a large screen via Chromecast, AirPlay, or DLNA. At present there are only two forks of this open source software that we recommend Popcorn-Time.to and PopcornTime.sh, both of which offer Android .apk downloads. MoviePass refugees can use the Popcorn-Time.to iOS installer with no jailbreak needed, or if using a jailbroken device, add the Popcorn-Time.to repo to their Cydia sources. In theory, another good option for users on any platform is to visit PopcornTime Online, a browser-based version of Popcorn Time. But this did not appear to be working when we tested it for this article. It is particularly vital to always use a VPN when streaming with Popcorn Time because the app uses the BitTorrent filesharing protocol. This makes downloaders very easy to track unless they use a VPN to hide their real IP address. Please see 5 Best VPNs for Popcorn Time for more details. Kodi is a very popular open source IPTV streaming app. The basic multi-platform app does not provide access to illegal content but, but it is easy to install third-party Kodi add-ons that do. The app is available on most platforms, although iOS users need either a jailbroken device or to go through a fiddly setup procedure that requires a Mac running Xcode 7. Streaming illegal content is safer on Kodi than on Popcorn Time because Kodi add-ons use IPTV sources located on central servers. Remember though, central servers can be seized, and the IP addresses of anyone who streamed content from them obtained. We therefore strongly recommend that Kodi users use a VPN to hide their true IP address. VPNs are also useful for accessing legal content that is restricted to certain countries. Such as the UK’s BBC iPlayer. For more discussion on Kodi please see Best VPNs For Kodi. This streaming app for Android, Windows and macOS is being heavily tipped on the #ShowBox Twitter thread. We checked out the Android version, and found a smart-looking app that offers a large and up-to-date library of movie and TV titles. These are streamed smoothly in 1080p, although do be aware that the app is ad-supported. 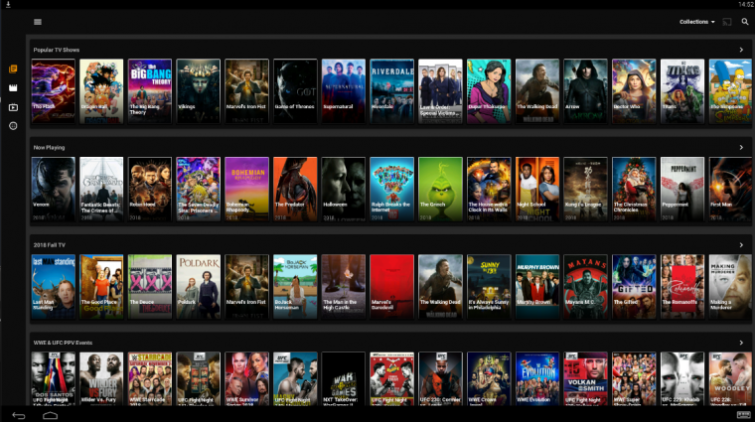 MovieBox and ShowBox were great apps for watching free movie and TV content, but they are not the only option. Our personal preference is Popcorn Time, but even more than Kodi, TeaTV, or other IPTV solutions, you really do need to use a VPN with it in order to stay safe.